Despite Russian concerns, Chinese media predict a new “homestead act” will boost Chinese migration to the Far East. Russian president Vladimir Putin has offered his support to a “homestead act” that will offer free land to anyone willing to move to Russia’s Far East, Russian media reported last week. According to RT, the original plan came from Deputy Prime Minister Yuri Trutnev, who is also the presidential envoy to Russia’s Far East Federal District. Trutnev suggested that Russia provide one hectare (2.5 acres) of free land “to every resident of the Far East and to anyone who is willing to come and live in the region so that they could start a private business in farming, forestry, game hunting or some other enterprise.” The government currently owns 614 million hectares of land in the Far East, some of which would be redistributed to citizens under the plan. Putin reportedly offered his support for the idea, noting that similar programs had worked in the past. With Putin on board, Moscow Times reports, Far East Development Minister Alexander Galushka believes the program could start as early as this year. 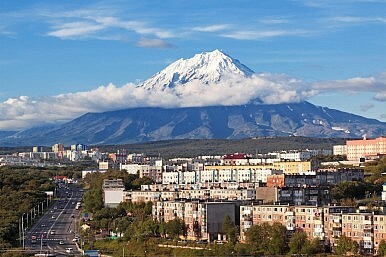 With the new plan, Trutnev hopes to “strengthen the tendency of people’s migration to the Far East.” Russia’s Far East, though rich in resources, has long been underpopulated and underdeveloped. The Far East Federal District covers a total land area of roughly 6.2 million square kilometers but has a population of just under 6.3 million, giving the region a population density of around one person per square kilometer. Of those 6.3 million, almost 75 percent are concentrated in cities; the new plan would specifically seek to encourage settlement of land located far away from urban areas. Russia, however, is wary of Chinese (or other) migrants pouring into its sparsely populated Far East. Trutnev noted that his plan was designed to prevent the free land from being sold to foreign companies and individuals. Moscow Times called this “an important consideration” as “Chinese, Japanese, and South Korean companies are gradually making inroads” into Russia’s Far East. Russia’s Federal Migration Service is especially wary of an influx of Chinese migrants across the Russia-China border. It has warned that Chinese could become the largest ethnic group in Russia’s Far East by the 2020s or 2030s; last summer a border official said that 1.5 million Chinese illegally entered Russia’s Far East from January 2013 to June 2014. In part, then, the new “homestead act” may be designed to prevent Chinese dominance in the region, as Moscow hopes to encourage new migration into the area by Russian citizens. Yet despite some nervousness about an increased number of Chinese migrants, overall Moscow is encouraging China to play a role in developing its Far East, particularly when it comes to making necessary investments in infrastructure development. Just last December, Trutnev traveled to China to brief Beijing on plans for the Far East development zone. During his time in Beijing, Russia and China pledged to cooperate on the project. At the same time, Moscow wants to hedge against overdependence on China in this regard. Russia also hopes to revitalize its northeast by coaxing North Korea to allow goods to travel into more lucrative markets in South Korea – a pipeline and railroad connecting Russia and the Koreas are both on Moscow’s wish-list. The Fatal Offshore: Deoffshorization and Russia’s Infrastructure CrisisChina, Russia Hold Partnership Firm Amid Shaky EconomicsPutin Signals Russia's Shift to AsiaThe Kremlin Turns to ChinaIs Russia Losing Control of Its Far East?